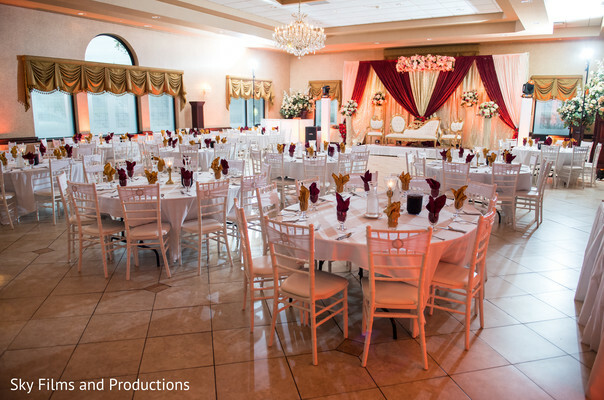 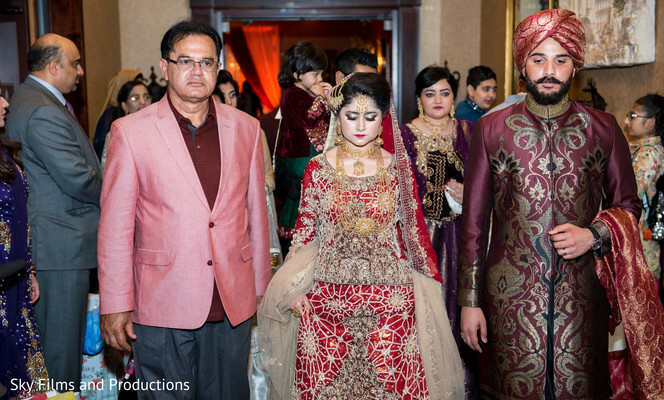 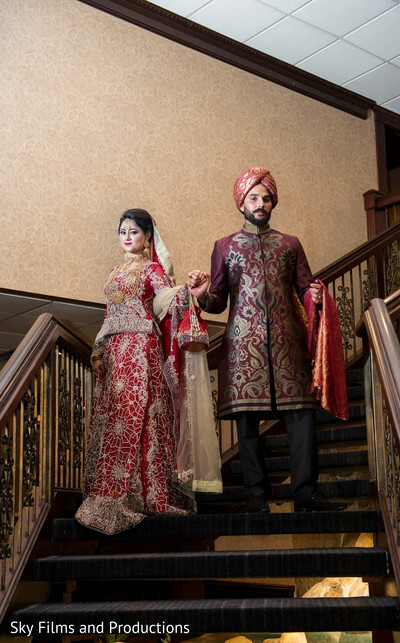 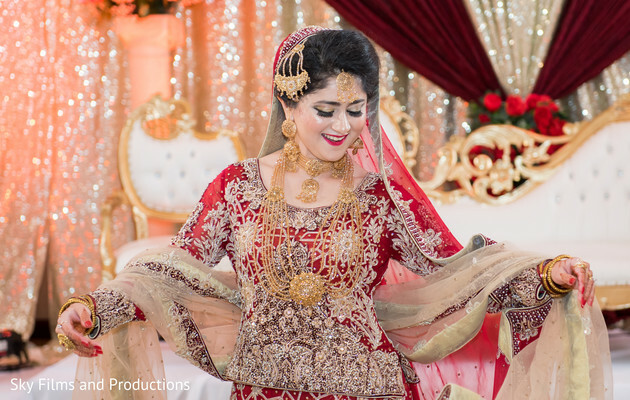 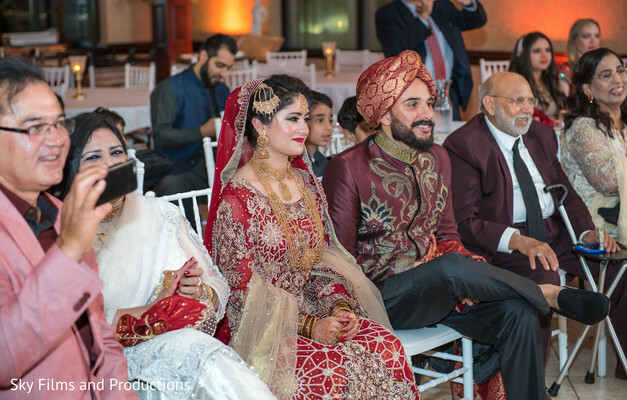 With an elegant red and gold accented wedding celebration theme, Ramsha and Malik held a second traditional post-ceremony event inside the lovely Crystal Gardens! 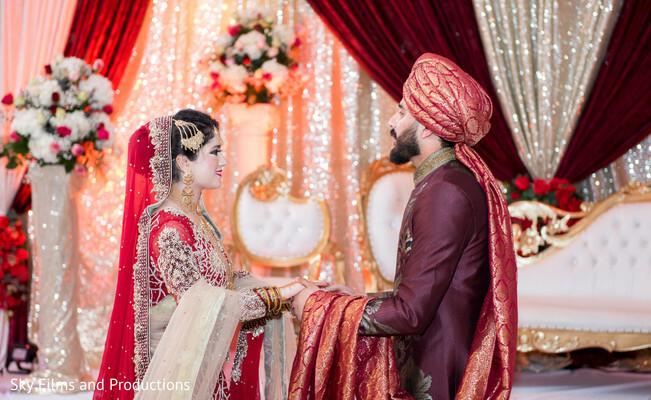 The auspicious colors were sprinkled all over the tables and the wedding stage with grace by Lama's Florist who worked together with the planning team of Sky Films and Productions. 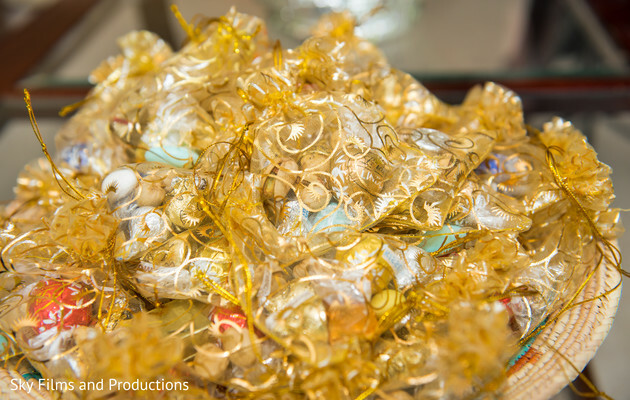 The charming favors indulged the guests as well as fabulous food! 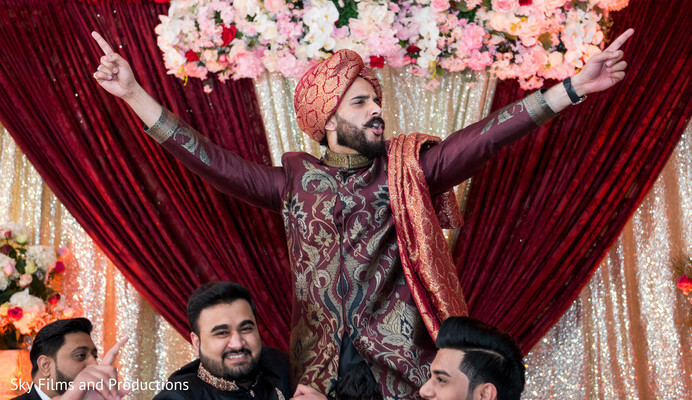 These two wanted nothing less but the best for their special day and had the Sky Films and Productions photo experts covered the natural moments of the reception that included vibrant dancing with expert DJ from Sky Films and Productions. 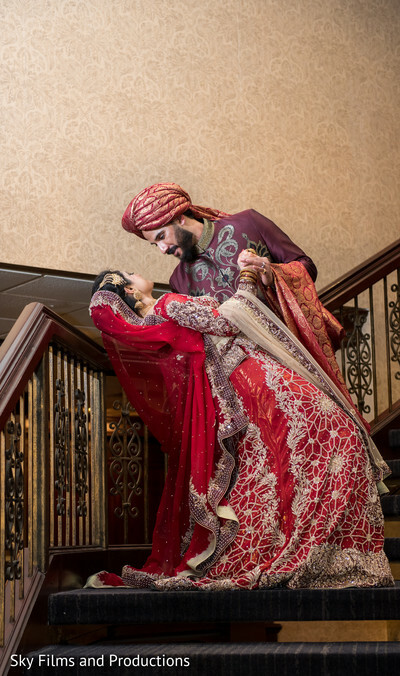 The emotional tradition to bid fond farewell the newlyweds marked the grand finale of this fairytale affair that you can see from start to finish in our complete gallery! 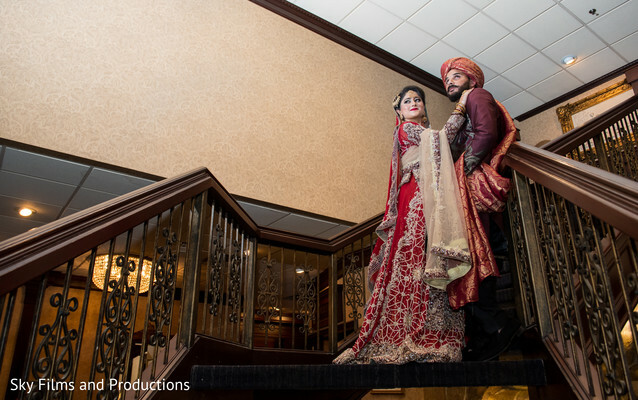 Today's wedding is total jaw-dropping! 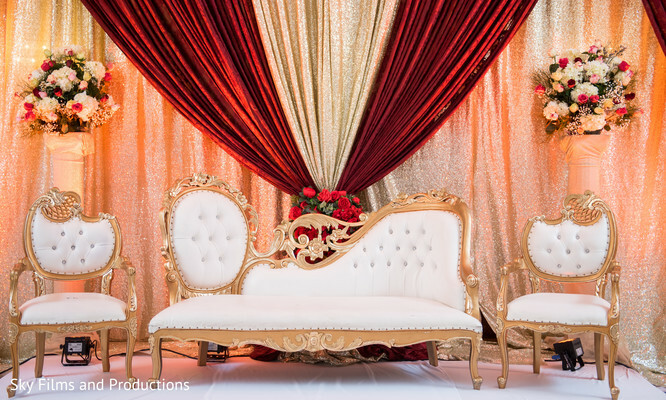 Check out some more mesmerizing wedding events tomorrow.